Not all properties are available online. To speak to an Advisor about your specific requirements, please call 404-876-1640 or email us at Info@BullRealty.com. 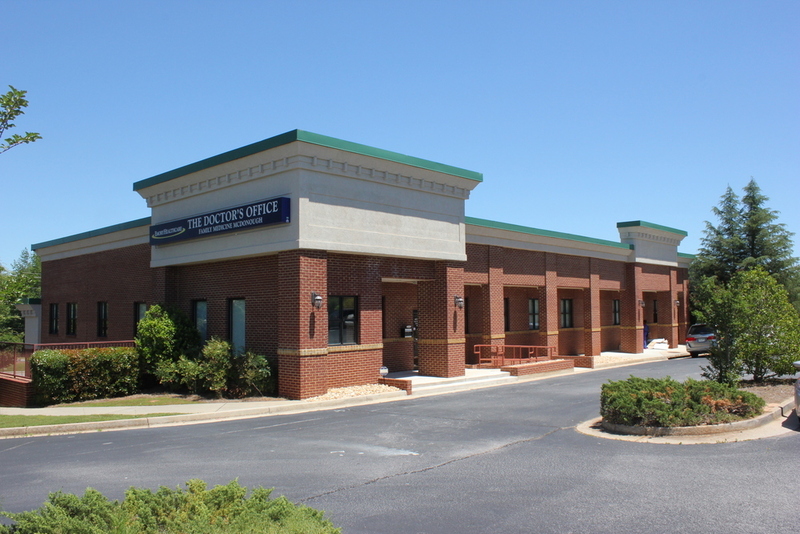 This +/- 58,195 sq ft Multi Tenant Building is located in Fort Mill, SC approximately 25 miles south of Charlotte, NC. 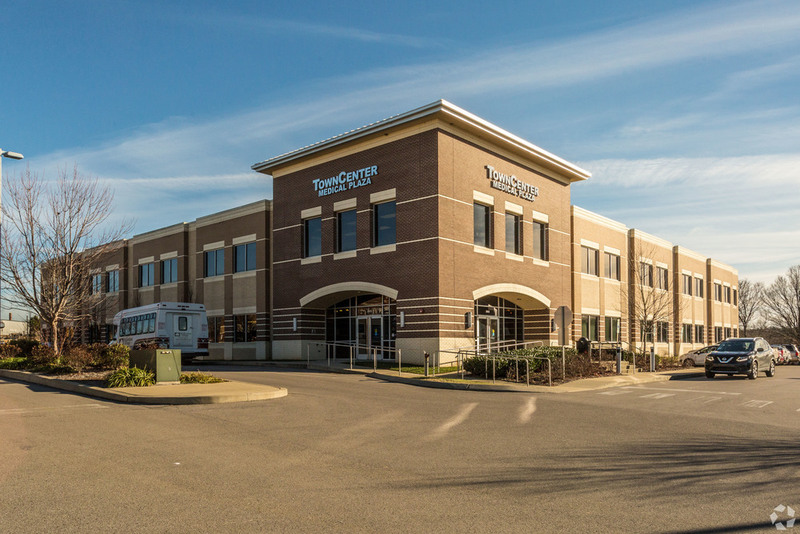 Anchored by Novant Health, this property is the home of Indian Land Primary Care (a Novant Company). 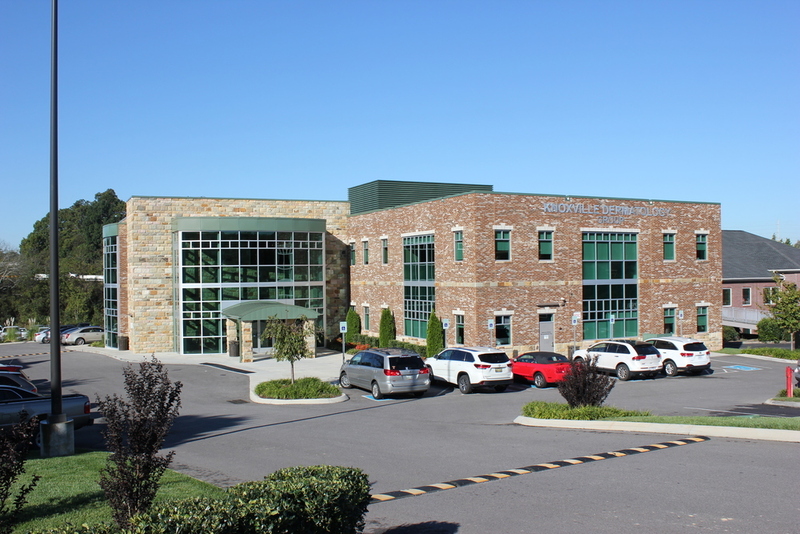 A significant portion of the first and second floors is utilized by Novant Health for the implementation and training of their new Dimensions Electronic Medical Records system. This high-profile information system has a strategic impact on the core operations and processes of the organization for 13 hospitals as well as its physician practices. This $500 million program employs as many as 300 individuals in Fort Mill, SC. 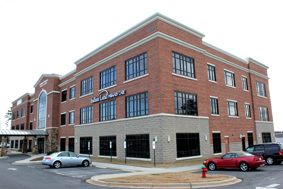 Third floor tenants include Carolina Orthopaedic Surgery Associates, Palmetto Rehabilitation Specialists, Metrolina Eye, and Smiles in the Sun. This property is 87% occupied leaving investors strong upside for the remaining 7,781 sq ft of vacant space. The property is located immediately adjacent to a 100% occupied 130,000 square foot Harris Teeter anchored shopping center. 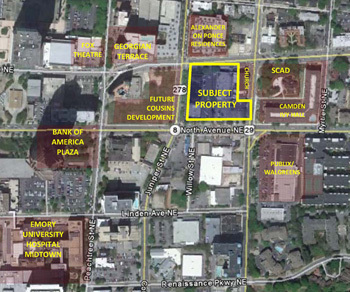 CVS Pharmacy, Walgreens, BB&T, Bank of America, and Indian Land Public Library occupy space in the mixed-use development. In addition, the property backs up to Sun City Carolina Lakes, a Del Webb Community. This community consists of 3,400 homes which all have access to the shopping center via automobile, golf cart, and pedestrian paths. Please call 404-876-1640 or email info@BullRealty.com for information regarding this sale. 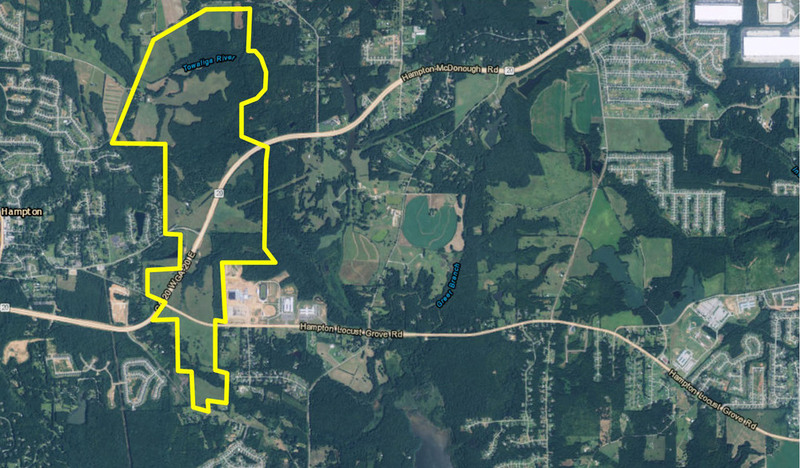 Henderson Farms is a 920 acre contiguous tract of beautiful rolling terrain that has been master planned with a development agreement that fully entitles the land to be used for residential, commercial and retail. The land includes public sewer and all utilities. Complete boundary survey and legal description is available upon request. 301 North Elm Street offers an incomparable combination of distinctive architectural design and convenient access to meet the highest standards of its Corporate residents. 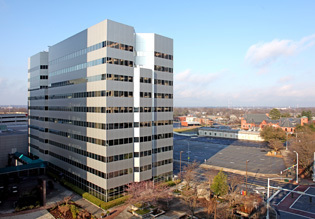 Located in the heart of Greensboro, North Carolina's central business district, 301 North Elm Street is one of only seven Class A office buildings in the submarket. 301 North Elm is a rare opportunity to reposition and stabilize such a well located asset. Regional Retail Destination near Town Center at Cobb Mall: Located across the street from Super Walmart and Publix anchored centers as well as near the 1.2 million square foot Town Center at Cobb Mall anchored by Belk, JCPenney, Macy’s and Sears. Over 2.5 million square feet of retail space within one mile, serving over 700,000 residents in the trade area. National and regional credit tenants including Axiom Staffing, Buffalo Wild Wings Grill & Bar, Chase Bank, Cheeseburger Bobby’s, Moe’s Southwest Grill and T-Mobile. Easily Accessible from the I-75 and I-575 Freeways: With 78,000 and 182,000 cars per day respectively, these freeways connect the suburban neighborhoods of Cobb County to Atlanta, the 9th largest MSA in the United States. 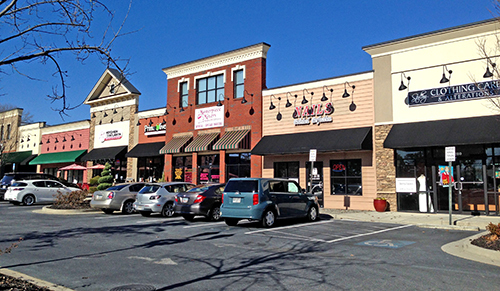 Close Proximity to Kennesaw State University: Barrett Creek Plaza is located two miles from Kennesaw State University, the third-largest university in Georgia with 24,100 students. Ample Parking/Signalized Intersection: 184 parking spaces (6.46/1,000 sq ft), which ideally allows for food use and service tenants, catering to the high daytime population of Kennesaw State University students, and the customers drawn regionally by the mall and surrounding centers. Excellent signage and visibility along Barrett Parkway, with multiple points of ingress/egress, including a signalized entrance. Strong Demographics: Approximately 170,000 people with an average household income of approximately $80,000 within a 5-mile radius. Bull Realty is pleased to present you with the opportunity to acquire a Piedmont Healthcare Medical Center in Loganville, GA. Clearview Regional Medical Center was established in this market in 1959 and was acquired by Piedmont Healthcare on March 31, 2018 and renamed Piedmont Walton Hospital, Inc. 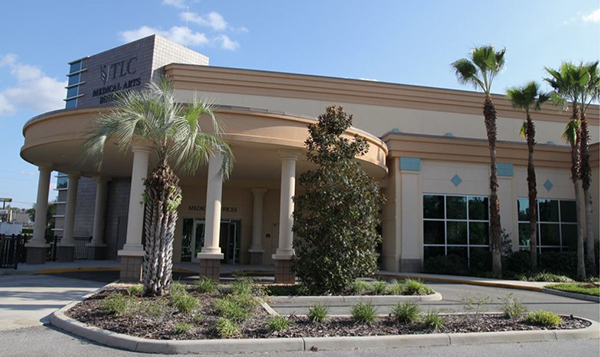 The practices at this satellite Medical Office Building (MOB) were included in the transaction. Piedmont operates a Women’s Healthcare Clinic and a Gastroenterology Clinic which includes an Endoscopy / Surgery Center at this location. The single tenant lease is NNN with 2% annual escalations, two 5-year options to extend at the continuing rate and continuing escalation and a Corporate Guarantee from Piedmont Healthcare. Moody’s Credit Rating on Piedmont is currently Aa3 and the S&P Rating is AA-. 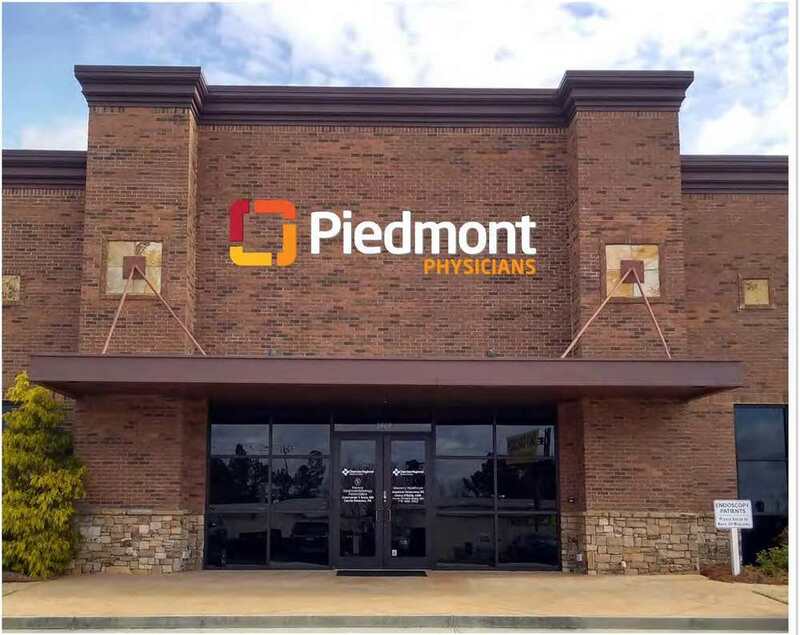 Piedmont currently owns and operates 11 hospitals, has 100+ locations and over 14,000 employees. Also, offered with this opportunity or separately, a Piedmont Pediatric MOB in Newnan, GA is available for your consideration. 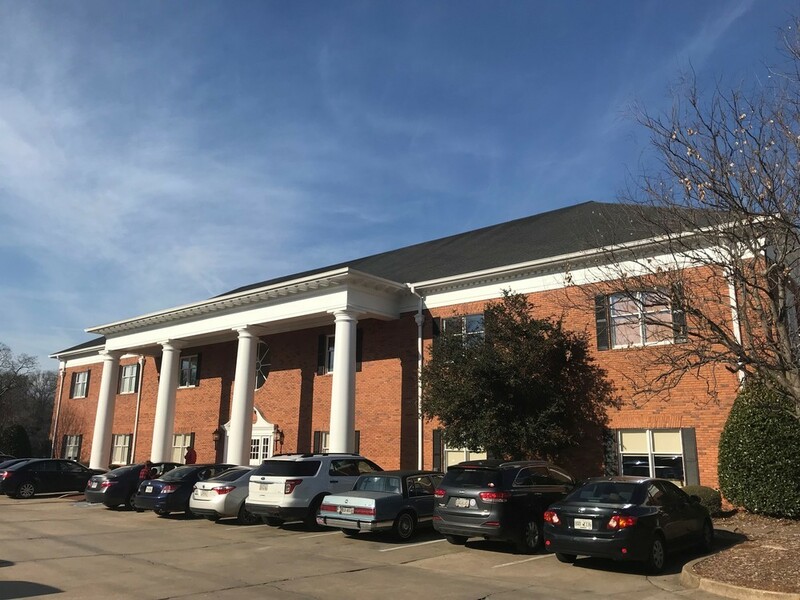 This single tenant lease has minimal landlord obligations, established base years for taxes and insurance, 2.5% annual escalations and renewal options. Piedmont Pediatrics has been at this location since 1992 and contributed $158,000 in capital improvements when the property was completely renovated in 2014. This location is strategically positioned in the suburbs near high-end retail and restaurants. The Seller would like to move forward with the first acceptable offer for either or both assets. If you would like to receive additional information on the opportunity, please execute and return the CA on the last page of this Offering Memorandum. Healthcare Real Estate Services at Bull Realty Inc. is pleased to offer a 40,000 square foot Medical Office Building located on the new 80 acre, master planned, Carson Tahoe Medical Center Campus. The Carson Tahoe Medical Office Building is a new state-of-the-art, class "A" Medical Office Building with a strong tenant mix and hospital sponsorship. Built in 2007, Carson Tahoe MOB is 68% leased by Carson Tahoe Regional Healthcare, the leading healthcare provider to Carson City (capital of Nevada). Carson Tahoe Regional Medical Center, which opened in December of 2005, is northern Nevada’s newest regional medical center. Carson Tahoe Regional Healthcare has served the community since 1949 and continues to be a leader in healthcare with over 240 board-certified physicians, more than 35 medical specialties, and full Joint Commission accreditation. The community non profit’s facilities include the Regional Medical Center, the new Cancer Center, Minden Med. Center, Specialty Med. Center, Dayton Professional Building, Therapy at North Roop Professional Center, Holbrook Therapy, Sierra Surgery Hospital, CTC Lake Tahoe, Eagle Medical Center, Carson Tahoe Surgery Center and The Clinic at Walmart. Beautiful office park located in Sandy Springs, just north of Buckhead on Roswell Road inside I-285. This impressive award winning building features high-end finishes with plenty of parking and beautifully landscaped grounds. Property is convenient to GA-400, I-285 and many retail and office establishments in the area. Beautiful office park located in Sandy Springs, just north of Buckhead on Roswell Road inside I-285. These impressive award winning buildings feature high-end finishes with plenty of parking and beautifully landscaped grounds. Property is convenient to GA-400, I-285 and many retail and office establishments in the area. Sebring Square is a 175,717 square foot grocery anchored shopping center. 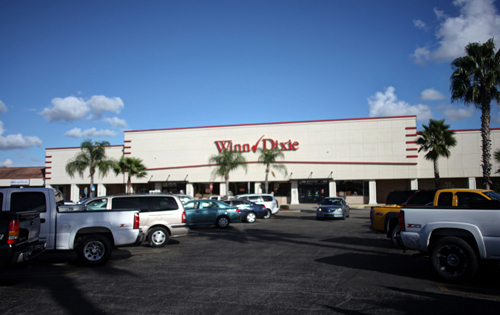 This well located neighborhood retail center is anchored by Winn Dixie, Office Max and Pet Supermarket which constitutes 44% of the GLA. Sebring Square is located on the main retail corridor on the Southeast corner of US Highway 27 North and Sebring Parkway. Located in the city of Sebring the property benefits from its location on Hwy 27 which is the major residential and retail artery with traffic counts above 42,000 vehicles per day. 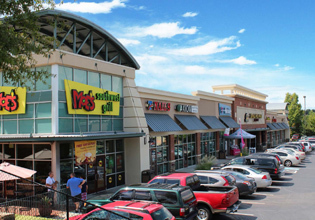 Sebring Square is currently 87% leased with a balanced mix of national, regional and local tenants including Winn Dixie, Pet Supermarket, Office Max, Bank of America, Advanced Auto Parts, McDonald's and others. Sebring Square is an excellent investment opportunity to acquire a dominant retail center on a major retail thoroughfare. 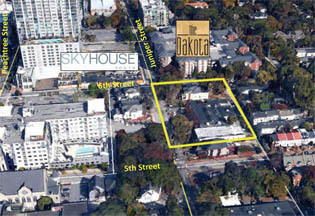 Approximately 1.57 acre site on beautiful tree-lined Juniper Street, one block off the hustle & bustle of Peachtree. This SPI- 16 (Subarea 3 'Juniper East') zoned C-4 site, features 350' of frontage, incorporating most of the block fronting Juniper between 5th and 6th Streets. Based on current zoning David Goodman, AIA with Cooper Carry Architects proposes a project with 245 residential units, 10,000 square feet of lobby/leasing/retail, 3 townhomes, and 475 parking spaces. 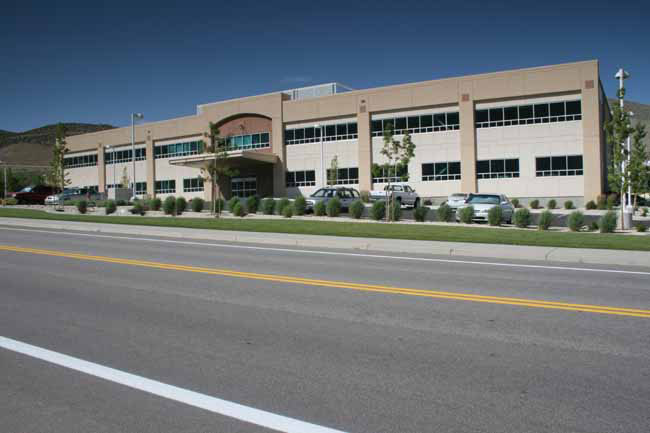 The land is currently improved with two office buildings consisting of 20,983 square feet and 6,300 square feet, providing potential income opportunity until developed. The Walk at John's Creek is conveniently located in Duluth, Georgia in the upscale area of John's Creek. This residential area adjoins the property in the rear with condominiums, apartments and homes. This property is located at the intersection of Bell Road and Medlock Bridge Road and has great visibility. Bull Realty is pleased to present the opportunity to acquire a prime 2.5-acre assemblage approved for 1.4 million square feet of mixed-use or commercial development in Midtown Atlanta, Georgia. Bounded by four well-known streets—Ponce de Leon Avenue, Piedmont Avenue, North Avenue, and Juniper Street—the property comprises nearly an entire city block with unmatched visibility located in the heart of Midtown. 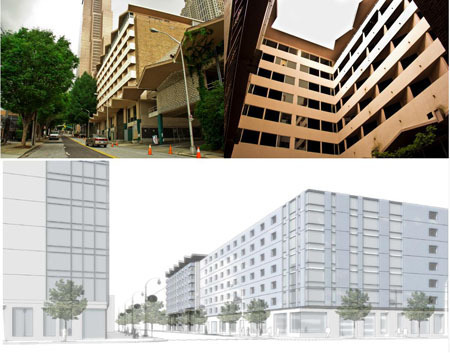 The SPI-16 zoning allows versatile uses including office, retail, medical, hotel, multifamily, assisted living, or student housing. The Midtown area, convenient to Georgia Tech, Georgia State University, and Emory University, is popular for both business uses and residential living. Three existing buildings totaling in excess of 75,000 square feet produce modest income from short-term leases that can help to defray holding costs. 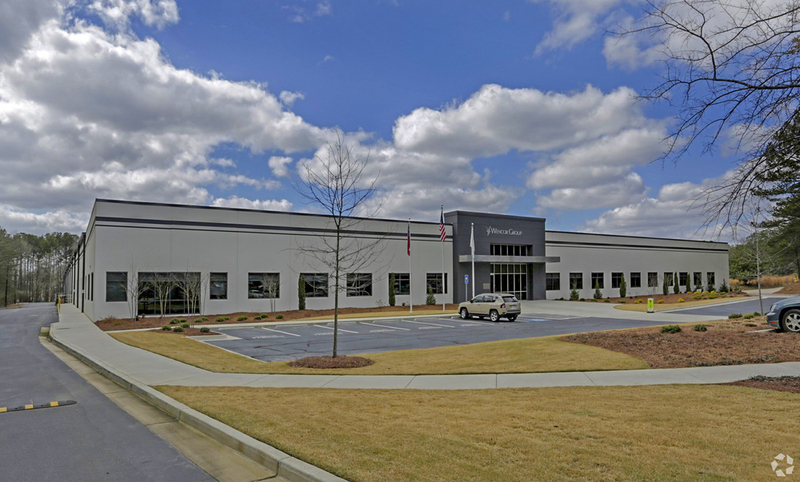 Healthcare Real Estate Services at Bull Realty is pleased to present to qualified investors the opportunity to acquire two medical office buildings occupied by Emory Healthcare located in Peachtree City and McDonough, Georgia. Each building is occupied by Emory Specialty Associates (a primary care clinic) and the McDonough location includes a full modality outpatient diagnostic imaging center as part of Emory University Hospital Midtown. At 90% occupancy, the properties are being sold based on the current in-place NOI. The small vacancy represents pure upside for the investor. Leases are NNN in structure with annual escalations. The Seller will move forward with the first acceptable offer. Please execute and return the Confidentiality Agreement on page 19 in Offering Memorandum if you would like to view property financials. 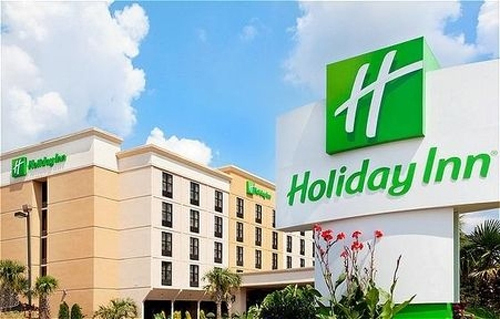 This 100% occupied MOB investment opportunity is located in densely populated Morrow, Georgia, only a few miles from Hartsfield-Jackson Atlanta International Airport. Anchored by Tenet Healthcare / Atlanta Medical Center, it is also the home of Clayton Eye Center, a prominent practice that has been in business in this immediate market for 35+ years. 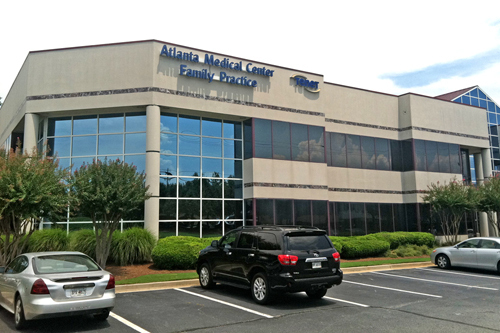 Atlanta Medical Center (AMC) Family Practice sees patients in this location 5 days per week. In addition, AMC is a teaching affiliate of the Medical College of Georgia. Through this relationship, third and fourth year medical students see patients at this location as part of required and elective rotations. Faculty, residents, and staff built this into one of the strongest programs in the southeast. You can learn more about AMC’s operations at this location at http://www.atlantamedcenter.com/en-US/Pages/default.aspx Clayton Eye Center was founded in 1974 and has provided services to the residents of Clayton and surrounding counties since that time. You can learn more about Clayton Eye Center at www.claytoneyecenter.com. Information contained herein may have been provided by the seller, landlord or other outside sources. While deemed reliable, it may be estimated, projected, limited in scope and is subject to change or inaccuracies. Pertinent information should be independently confirmed prior to lease or purchase offer or within an applicable due diligence period.